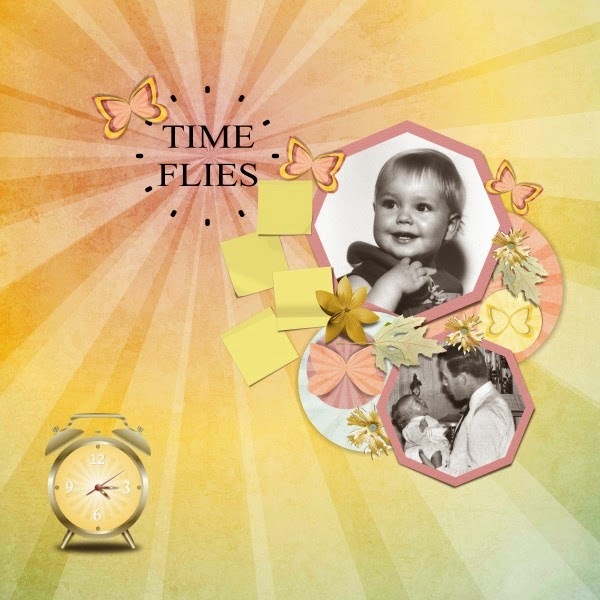 MyMemories Blog: Scrappin' Old Photo's by Happy Scrap Arts! 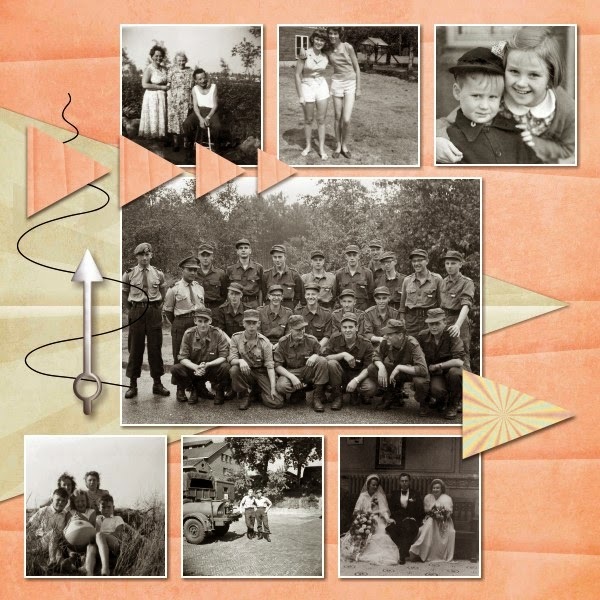 Scrappin' Old Photo's by Happy Scrap Arts! I lately scanned a lot of old photos. There are some really old from around 1920 and some of them where really damaged. Sure you can fix them with some software. But not everyone has this and so I’ll tell you about some ways to use them without seeing the scratches. Or use them by using the scratches to give a great look to your pages. To begin, when scanning your photos you should do that at least at 300 dpi. That way they are also good to print if ever you make a photo book or print some of your pages. You can increase the dpi, but you should not decrease, if you do so the quality will not be very good. Most of the photos made in those years are black and white or even sepia. And often they do not have the same “colors” as even black and white can be different. So if you use more than 1 photo on your page, you should start by trying to make them all the same color. In My Memories Suite you can do this by clicking on your photo and then choose effects. Here you can choose black and white, sepia and even red or blue. Now if your photos are not very big you should consider using more than 1 photo on your pages. 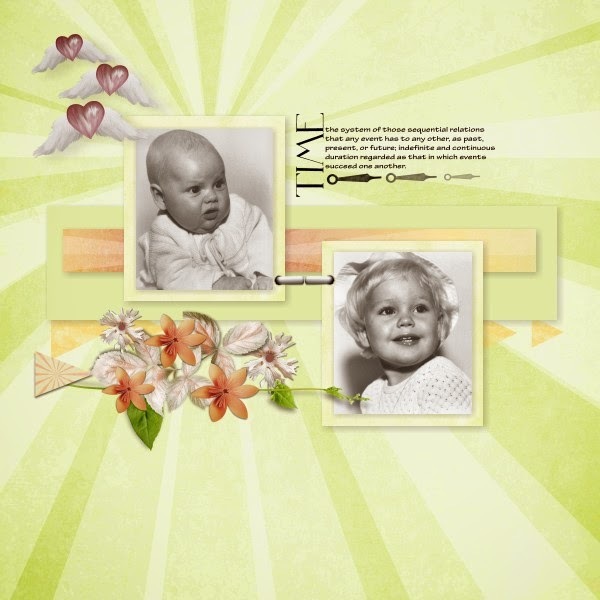 Make a layout with lots of little photos is a great way to show them. When you paste your photos in My Memories suite you can also crop them by double clicking on the photo. That way you can get the ugly scratches off. 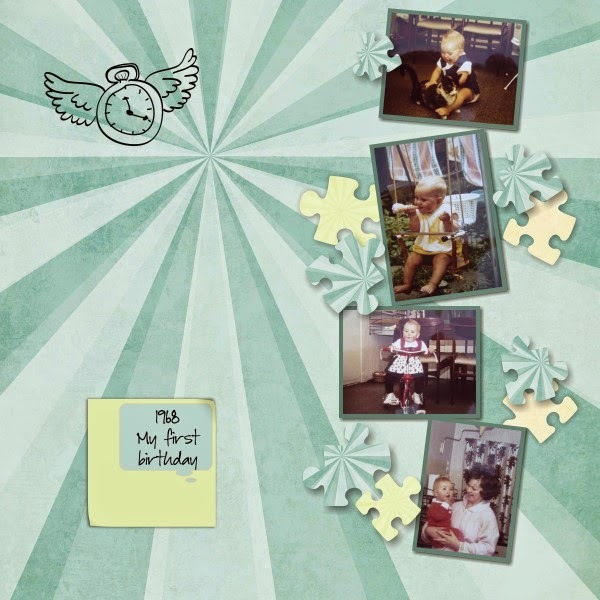 Here is a page I made with lots of little old photos. I cropped them so you can see the persons but not the scratches. On the first page I made them all black and white. On the second one the photos are colored and the colors are not too bad so I kept them like this. 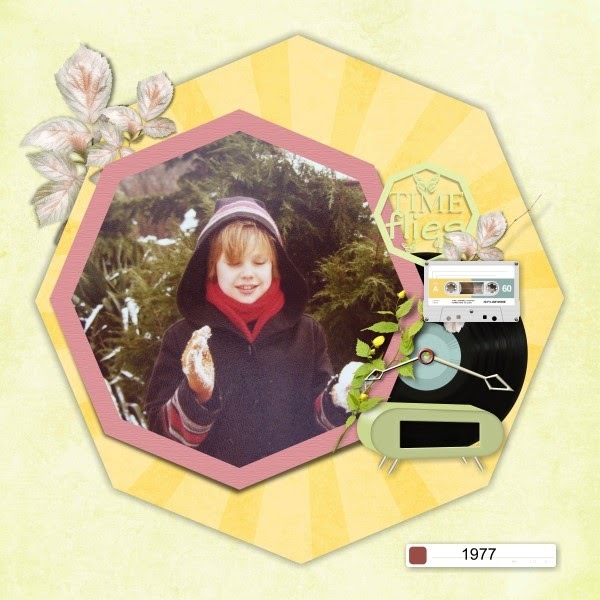 Now if you want to have 1 off your old photos much bigger on your page but the quality is not that good or the edges are jagged you should try to use that photo blend in the background. As you can change the opacity of your photo you will not see the bad quality. If you want you can rip the edged of the photo. And if the edges of the photo are damaged this is a great way to use that photo. The damaged edges will give a great look to your page. Another great way to use it like this is to use a mask on your photo before putting it on your background. You can put the same photo or another one in a little frame on the page. 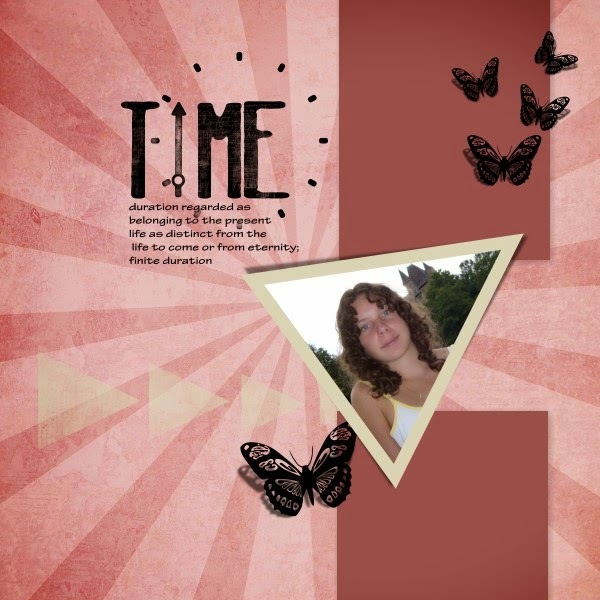 As I wanted to scrap all my old photos I made a kit for that. Time Flies. This collection is available in my store. 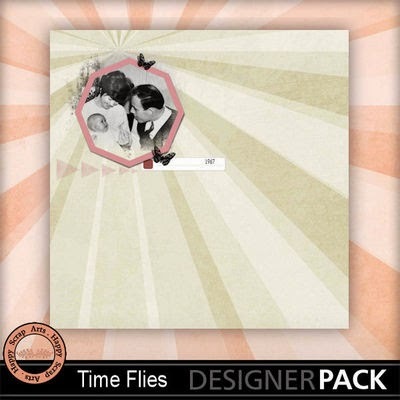 All the pages I show you here are available in 2 album template packs. Now you can also scrap all your old photos with this collection. 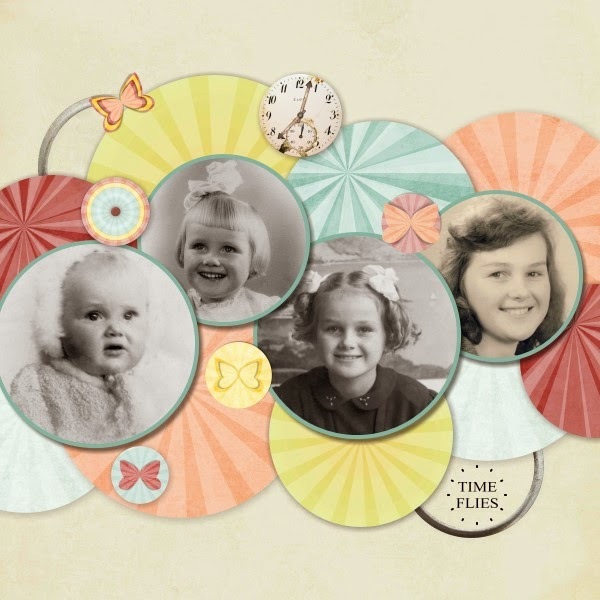 The collection Time Flies will be 45% off today. Its awesome to print our photographs in such an excellent ways.I need to know more about it as before I used to dependably print photo collage poster for protecting my old memories.Moreover,I liked the different types of backgrounds used. Thank you for this lovely kit.